“The purpose of this organization is to foster trade and encourage commerce and industry in the Attica Area; to disseminate accurate and reliable information as to the business affairs in the Attica Area; to develop uniformity and certainty in the customs and usage of trade and commerce in this community; to promote cooperation between Chamber members and to encourage a friendly exchange of views among business persons.” (By-laws Article 1, Section 1). 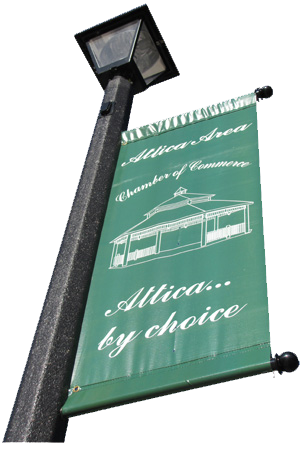 With member support, our Chamber has been able to provide scholarships to graduating high school seniors from Attica and Alexander, hang beautiful flower baskets and banners throughout the village, and provide summertime evening entertainment with the Gazebo in the Park Concert Series. All of this would not be possible without the support of local businesses (like yours). Click on the link at the bottom of the page for information and an application. The Board of Directors meet on the first Thursday of each month, at 8:00am in the Village Office (2nd floor), in Attica. All members are welcome to attend.